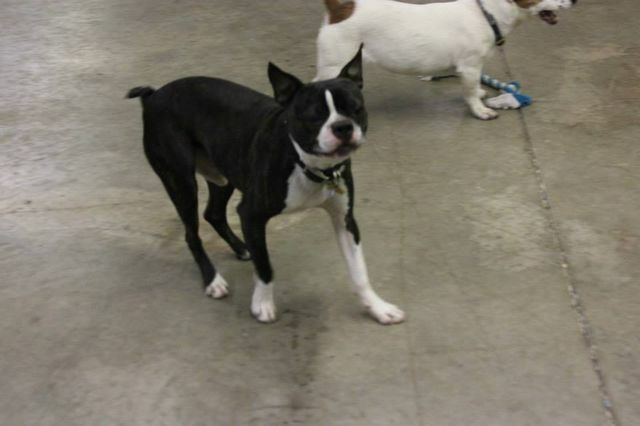 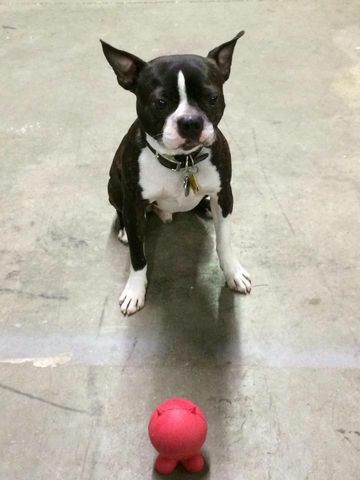 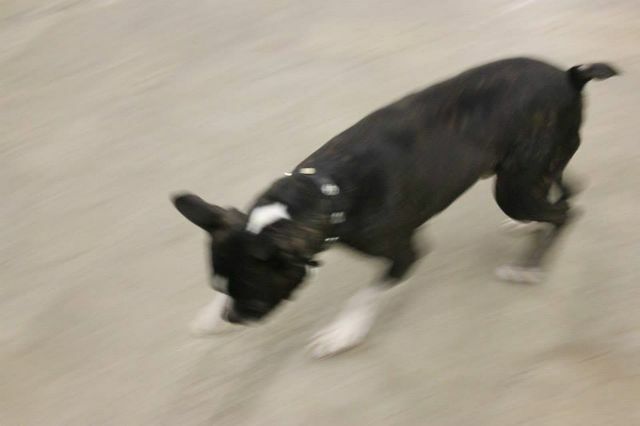 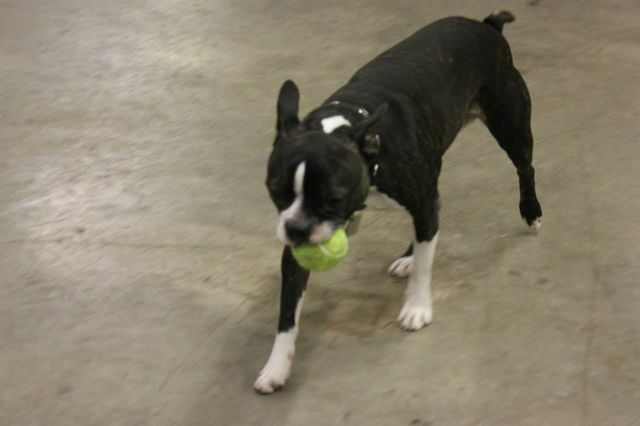 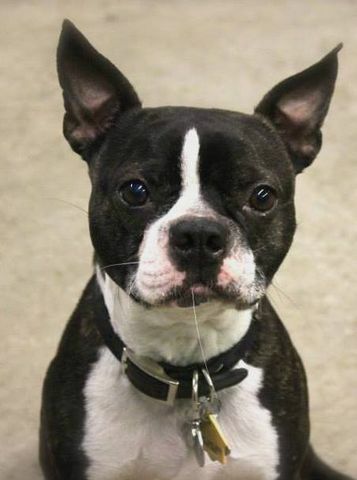 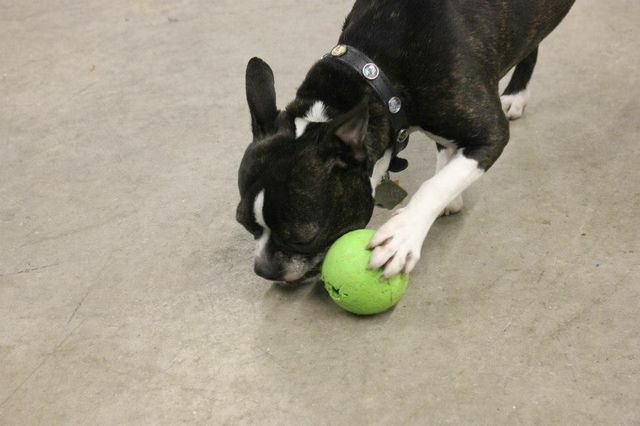 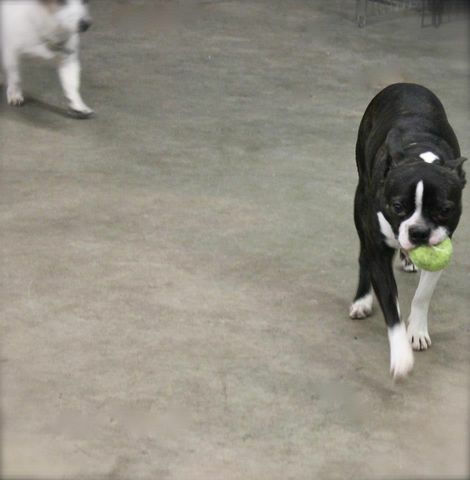 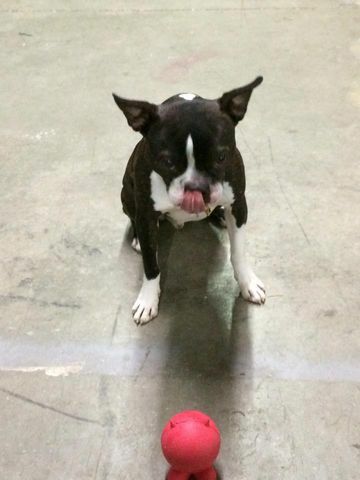 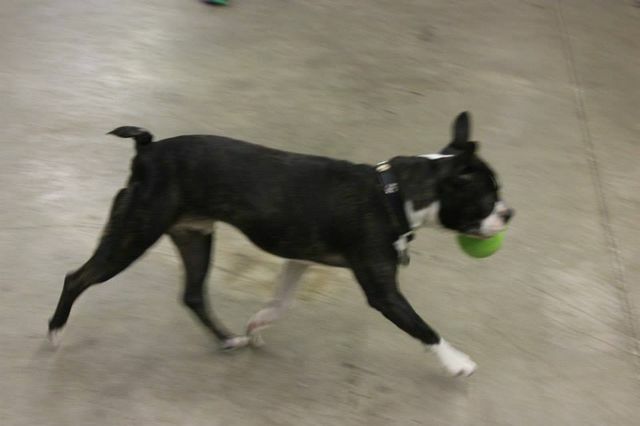 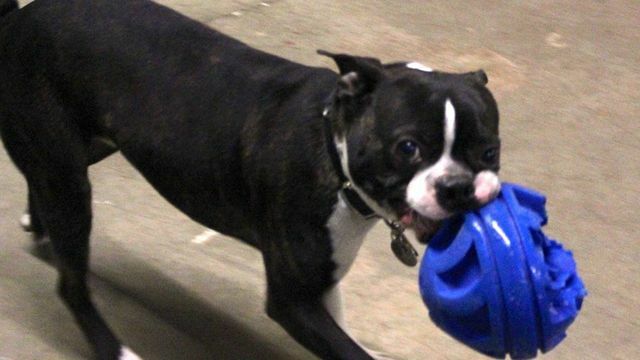 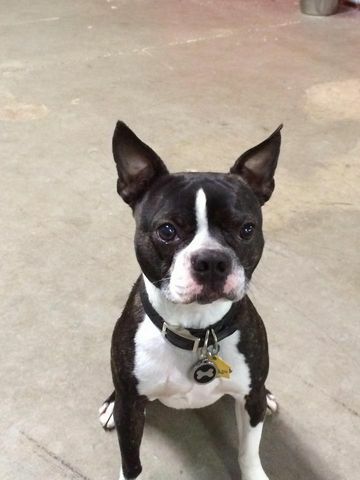 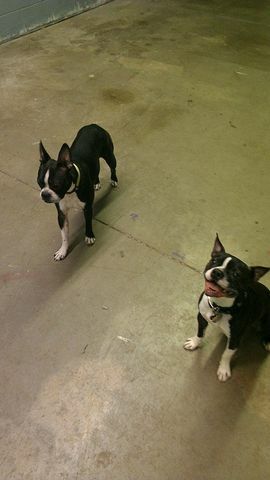 Rocco, a Boston Terrier recently adopted through Boston Terrier Rescue, was brought to our center by his new owner after being rejected from other doggie day cares because of an aggression problem. 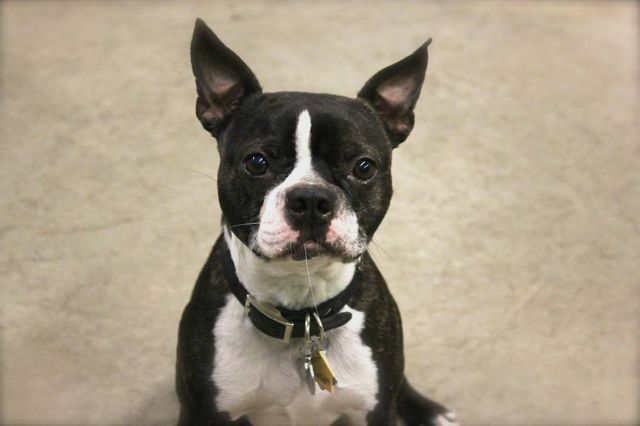 Rocco bares scars on his face and jaw from a past altercation with another dog, which could be the root of his aggressive tendencies. 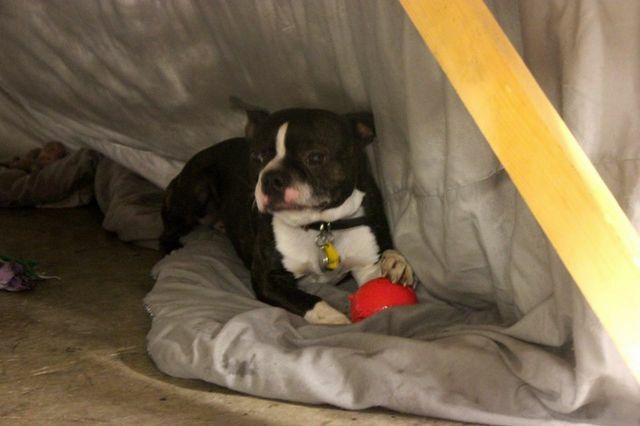 Rocco was accepted into our Training Camp program where he was evaluated and worked with in an intense daily program. 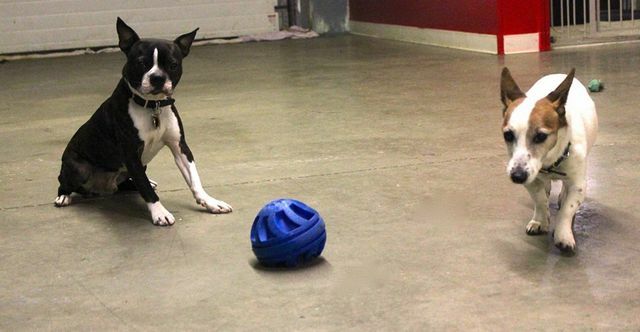 Training Camp offered him the individual attention and training that he needed in oder to rehabilitate him. 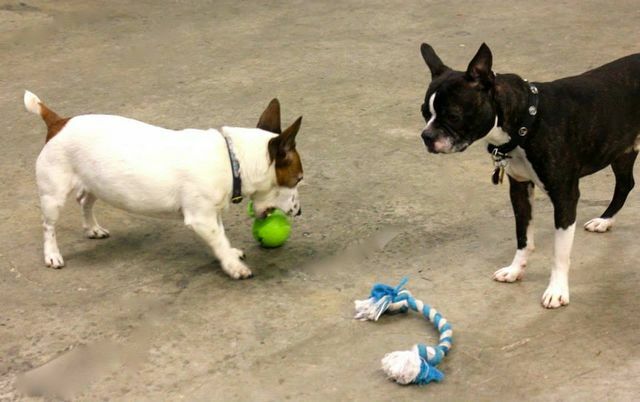 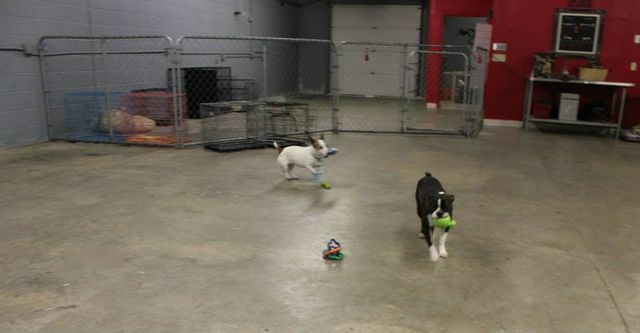 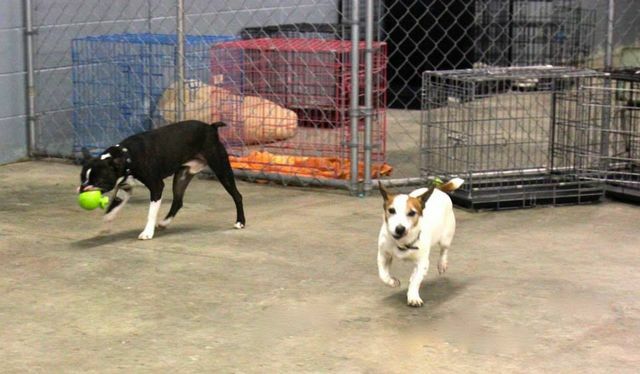 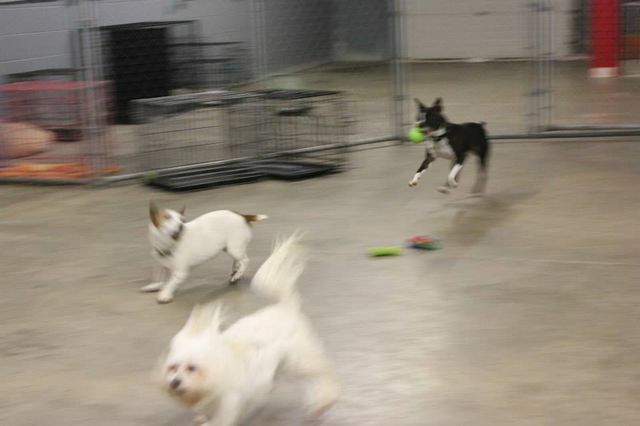 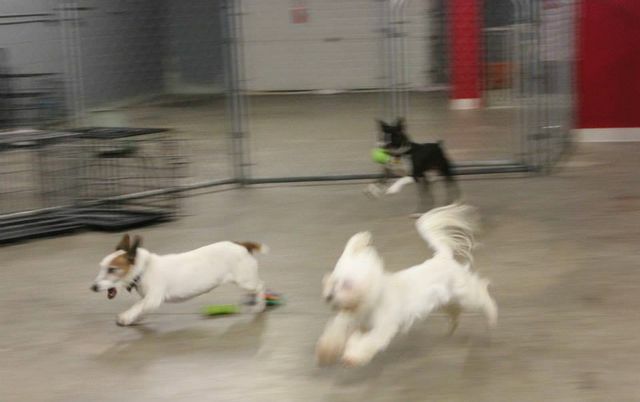 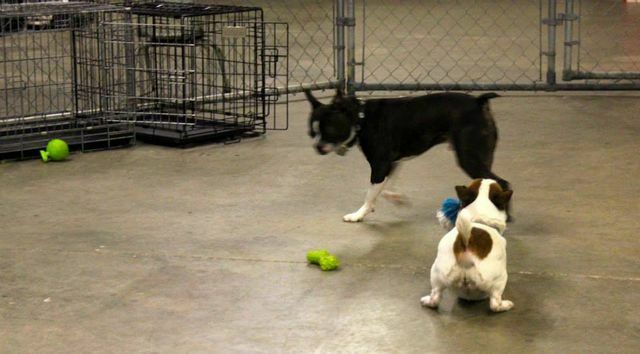 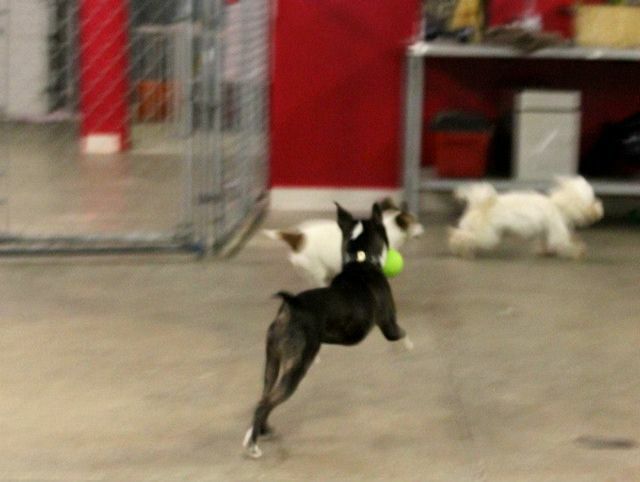 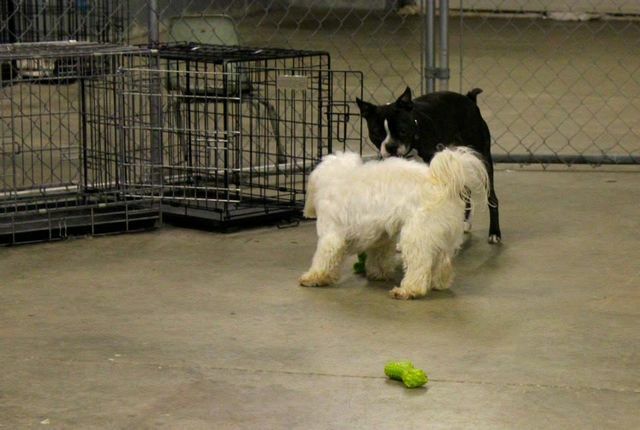 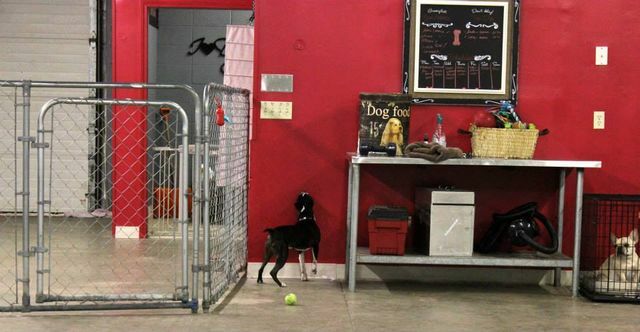 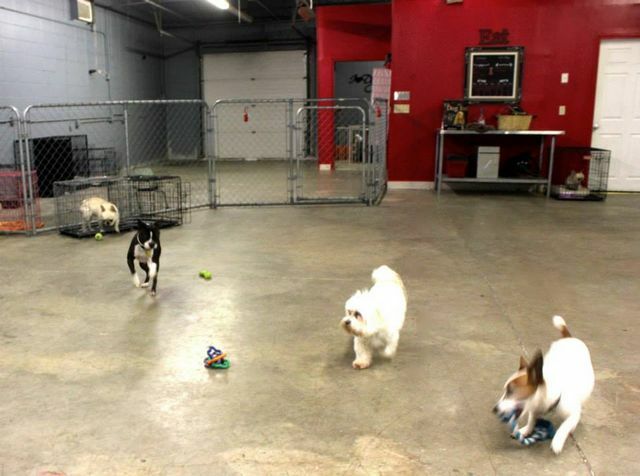 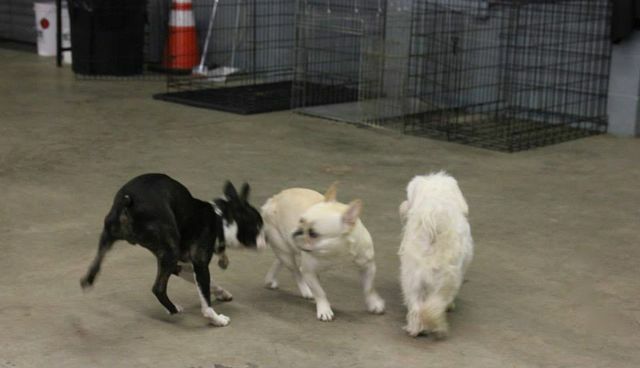 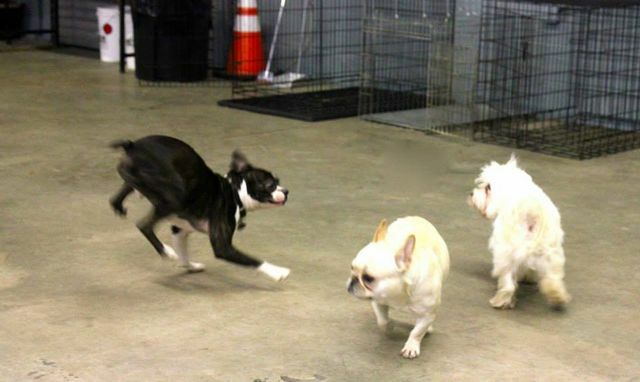 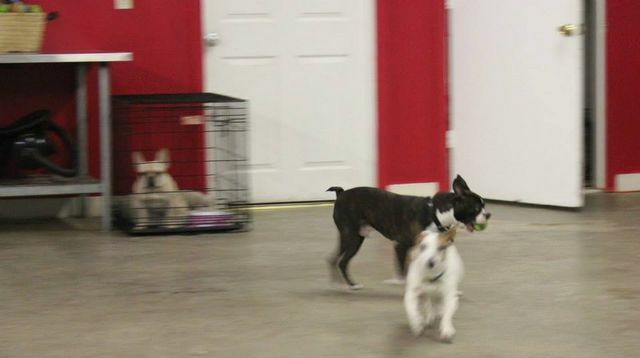 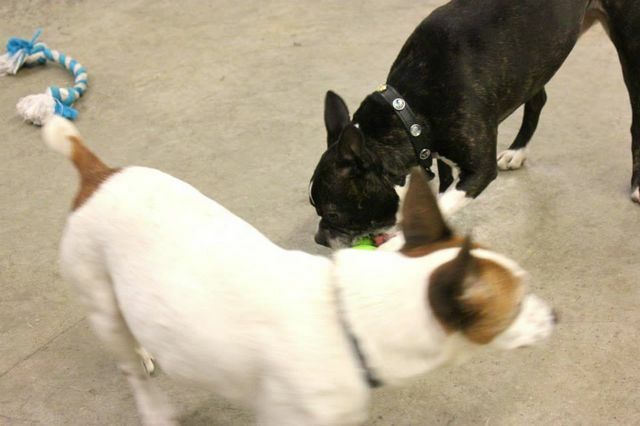 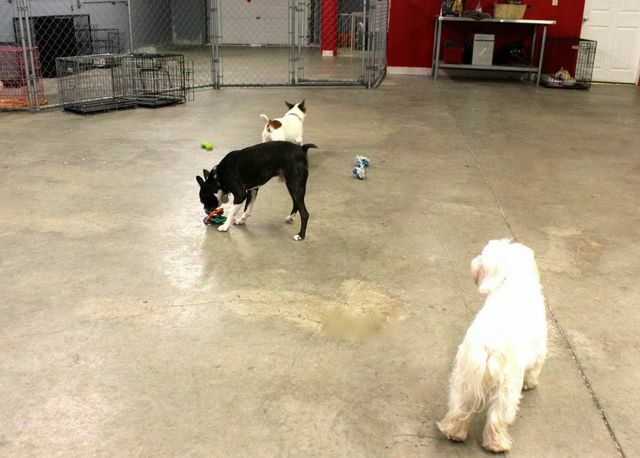 ​When Rocco first arrived at the center, he could not play one on one or in a group with other dogs without becoming dominate and agitated, causing a fight to ensue. 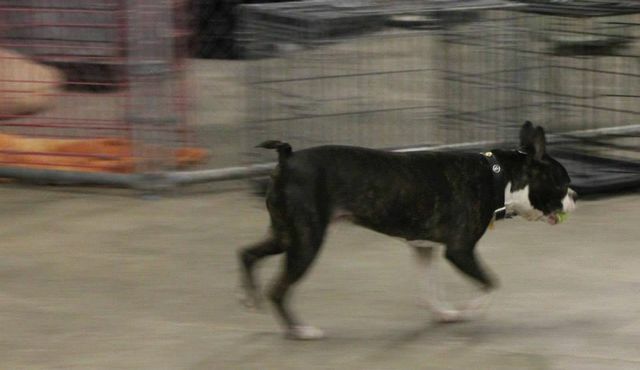 Several hours of training with his owner and in Training Camp with our established pack were required to help him achieve a calmer state of mind. 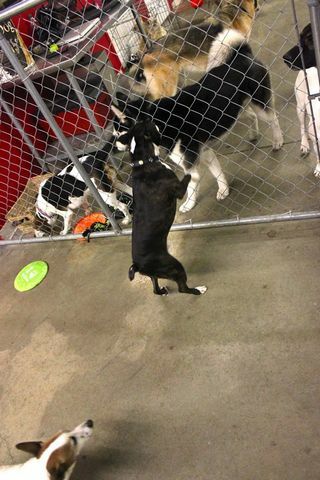 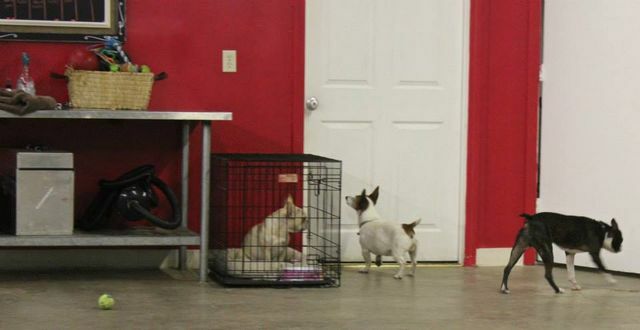 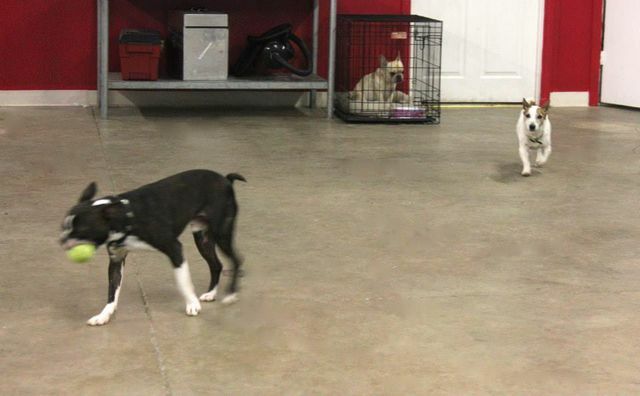 The photos below show Rocco interacting with a few members of our pack after just 6 weeks. 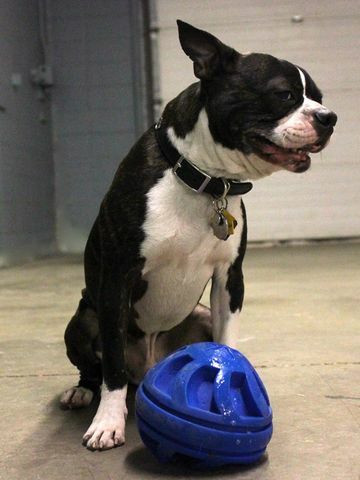 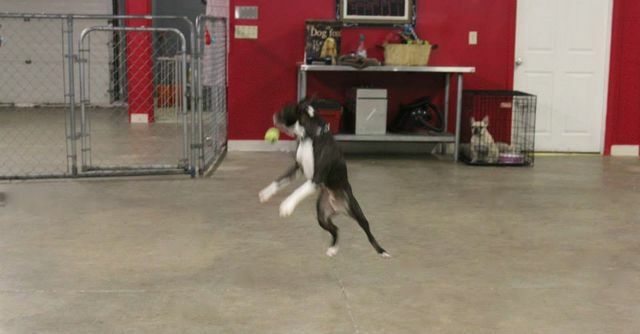 We continue to work with Rocco and his owner to help them achieve their goals.